The largest ship in the world has docked at Southampton as it prepares for its maiden voyage. 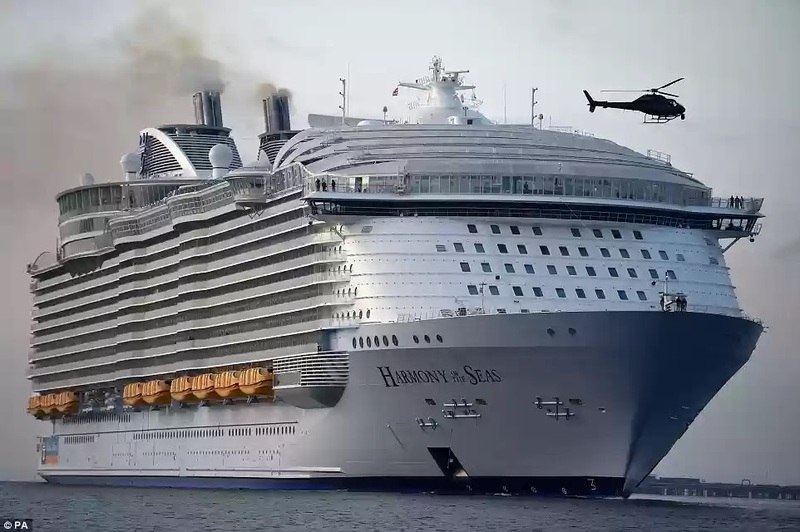 The "Harmony of the seas" has a length that surpasses four football pitches, and it has a maximum passenger capacity of 6,780 people. A crowd of well wishers came to catch their first glimpse of the mammoth $1 billion vessel as it docked at Southampton harbour. The vessel docked for its final preparations before it boards paying customers for the very first time. The mammoth ship took off from a shipyard in Saint-Nazaire, in France, and spent most of the next day Cruising the English Channel. 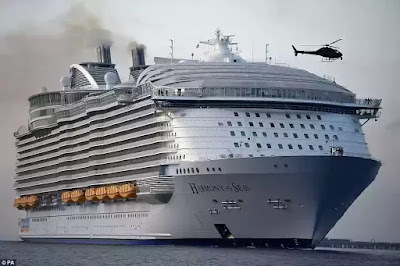 The Harmony of the seas is an 18 deck ship with a length of 1,1188ft, 330 feet longer than the Titanic. Its gross tonnage is a staggering 227,000 tons, and it has a width of 215.5ft. It has 2,747 state rooms and can carry 6,780 passengers maximum and it has a multi-lingual crew of 2,100 from 77 countries. That makes its human cargo capacity in the range of 8,800 passengers. 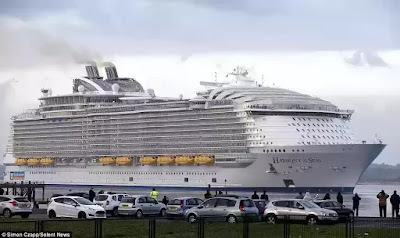 The gigantic cruise ship "Harmony of the seas is the world's biggest cruise ship. The vessel boasts of several never before seen features which include; 7 different "neighbourhoods", a 10-storey slide, 23 swimming pools, 20 dining rooms, 52 trees, robot bartenders, a casino, climbing walls and a surf simulator. 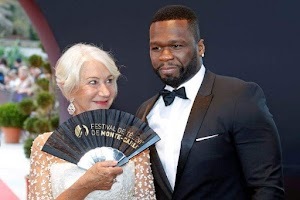 The cruise ship will set off on a short four-day taster cruise to Rotterdam, in the Netherlands. But on the 29th of May it will make its maiden voyage to Barcelona. When it is stood up on its stern it will be taller than the Eiffel tower, the Burj Al Arab hotel Dubai and even The Shard. It is owned by Royal Caribbean international. it took 32 months to build it. 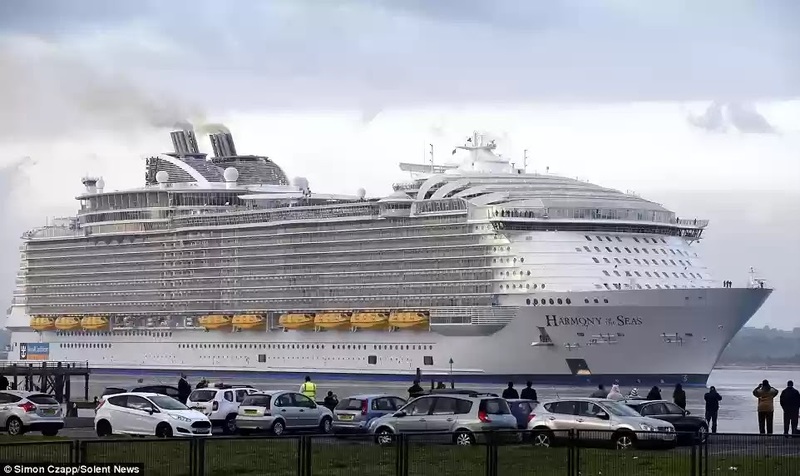 Close to ten thousand people and admirers will be on hand to watch and cheer as the huge cruise ship sets off from Southampton for its maiden voyage.